Rudolph Runs Away is a painting by Julie Schronk which was uploaded on January 15th, 2010. 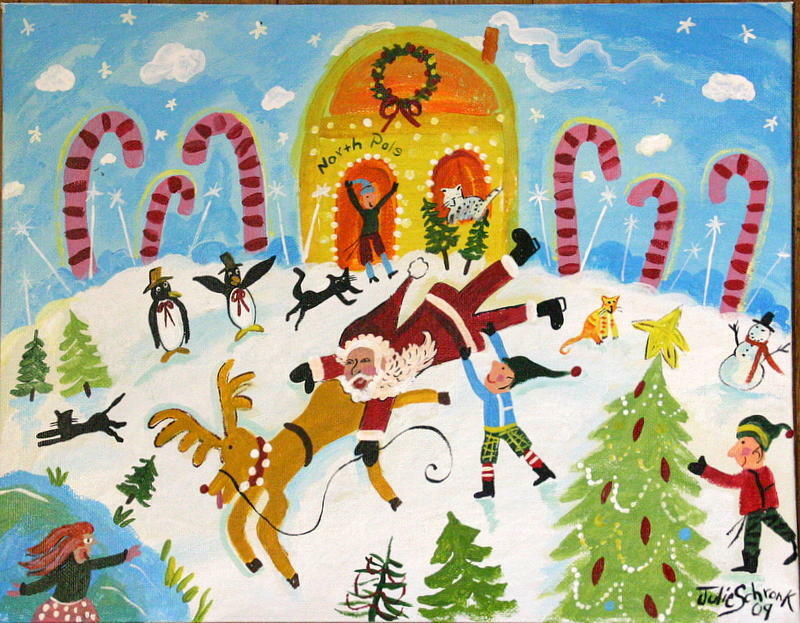 Rudolph Run Away in this whimsical Christmas painting that is from my personal collection. One elf tries to help Santa but the other is busy decorating the tree as penguins flap their wings in the background. Can Santa catch him or not? This painting is one of my best holiday paintings with great colors including the pink striped candy canes in the background. There are no comments for Rudolph Runs Away. Click here to post the first comment.